Do you have a toddler or preschooler who loves cars? This deal might be the perfect springboard for your child to start reading with Blaze and the Monster Machines! This Monster Phonics (Blaze and the Monster Machines) (Step into Reading) set is 73% off the listed price and only $3.50 right now! 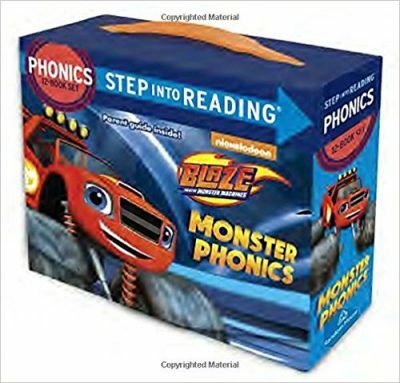 This Step into Reading boxed set includes 12 full-color phonics readers starring Nickelodeon’s Blaze and the Monster Machines. Each book features a specific phonics concept that will give boys and girls ages 3 to 7 the tools they need to begin reading on their own.